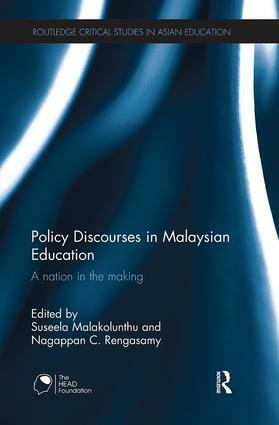 Suseela Malakolunthu (PhD, Michigan State) is a Professor and Chair of Educational Research and Consultation at the Universiti Utara Malaysia. Besides, Suseela provides consulting services on school improvement and school leadership. She is an awardee of the Fulbright Fellowship for research on ‘Multicultural education and leadership’ at Stanford University (2005 – 2006), and has served as a Research Fellow of the Asia Pacific Centre for Leadership and Change, Hong Kong Institute of Education (2009-2011). Nagappan C. Rengasamy (PhD) is a Senior Consultant in Technical Vocational Education and Training (TVET) at the Asian Institute of Logistics and PEMM Consultants, Petaling Jaya, Malaysia. He has about 35 years of industrial work experience both in operational and educational capacities. He specialises in strategic management, leadership, creativity, and adult and vocational education, and offers consulting services in professional development programs. He has also taught management subjects in universities.